Looking to Increase Throughput? Optimize and Streamline Your Process for Maximum Profitability. Increase Quality & Marketshare. This consulting and FG Pro+ Solution will internalize and secures valuable process knowledge. Retain skilled labor and provide process task metrics to your team. Optimize your processes and increase quality, profitability, throughput, and employee training & retention. This 10 step solution package includes process evaluation, process engineering improvements, implementation of improvements, process documentation, training, and process verification for exponentially improving bottom line profitability. 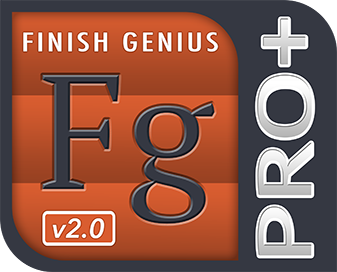 1 Year FG Pro+ license agreement. *Price does not include travel & expenses. Additional costs are required for 1 year FG Pro+ license agreement. Call for free project consultation to develop scope of work and estimate. Upon engagement a statement of work (SOW) will be developed and submitted for approval. All work is performed and approved based on statement of work. At any time during the engagement the statement of work may be updated to reflect progress of engagement. All work is performed after a block of work is approved by client. At any time the engagement may be cancelled with payment of hours performed.